On Monday I submitted some work to BBC Writers’ Room. About twice a year they have a ‘window’ where they accept scripts. I’ve mentioned before that I’ve been writing a thing called ‘Bad Eyes’ which is the first episode of a series or, more accurately, a serial. I finished it months ago and was waiting for the script ‘window’ to open. On Dec 9 the ‘window’ opened for one month only and I thought I’d give the script one last read-through before submitting it. Reading through, I saw so much that was wrong with it. Having not read it for months, I saw things that I must not have been able to see before. And now there was only one month to re-do it. Lesson learned: it’s worth resting things for a bit before you submit them. I went through the whole script again making changes and ended up cutting 20 pages!! It was over-written by TWENTY pages!! This took a bit of correcting. I thought I had the work done and dusted and ready to submit on Day 1 of the ‘window’ but it turned out I finished the rewritten script just one day before the ‘window’ swung shut. Phew! Watched the final episode of The Missing on BBC1 last night. It’s been a great, well-written series from Williams brothers Harry and Jack. I enjoyed it as a viewer but I also loved watching from a writer’s point of view. The aspect of the series most interesting to a writer was probably the structure/plotting. There were eight episodes which is less than many brilliant American dramas such as Breaking Bad but more than most British series. I think The Missing had stronger links with the longer form drama series from the US than with British productions (with the possible exception of Broadchurch). The higher number of episodes gives more chance for in-depth characterisation and the plot can evolve rather than being forced. Both The Missing and Breaking Bad jump about in time which is a great device for building tension. I’m especially interested in this kind of stuff because I’ve just written an episode of a TV thing called Bad Eyes which will be submitted soon (it will no doubt never see the light of day) and the completion of it was a real learning curve for me. It’s been a full week since Donald Trump won the US Presidency and all the news and discussion programmes on TV are still talking about it. Had some heated exchanges on Twitter! I try not to talk exclusively to people I agree with on Twitter. Only talking to people you agree with all the time makes talking a bit pointless. On the other hand I am confrontation-averse, possibly confrontation-allergic or confrontation-phobic so I wouldn’t want to disagree too vehemently. If you want to confront me in a very non-confrontational way feel free to look me up on Twitter; ‘jonkenna0000000’. In other news; I’ve done no writing. I’ve been at the day job all day today. Tonight I’ve been doing a bit of work on Ghost Road Part 2. I know exactly which way the story is going to go because originally I conceived the books as one story. When writing Ghost Road Part 1 I got about halfway through when I realised that it was too big a story to tell in one book. At that point I split it up into two books. The problem then was to give GR1 a satisfying resolution without pre-empting the resolution of GR2. Most readers who have written to me have said that the GR1 ending was quite satisfying but that there were a number of questions left unanswered. The top question I’ve been asked is ‘what the hell was LPI all about?’ It’s ironic really because that’s one of the few questions that is answered within the GR1 text if you look carefully. Anyway, all those unanswered questions (almost) will be answered in GR2. 2nd most asked question is… who was driving the Fiesta with the flame tattoos? This will definitely be answered in GR2. So you’d think that actually writing the second book would be a breeze as I’ve already figured out the story arc. Nope. I’ll work on it again soon. For now, the US election TV coverage is beckoning. No writing again today but a good amount of thinking. Doing the second part of Ghost Road takes quite a hefty amount of thinking time. The plot is what you might call labyrinthine. I’m actually not that big on plot as a writer. I’m bigger on character. I subscribe to the notion that you can have the greatest plot ever thought of and it will die a death unless readers, first of all, care about your characters. You can see soap operas making this mistake in recent years resulting in tumbling ratings; dramas which used to emphasise strong characters are now relying too heavily on plot. Worse still, even the plots are going out of the window in favour of events; a car crash, a murder, a jilting at the alter, a love child… All this leads to nothing but melodrama. And melodrama gets you into the law of diminishing returns; next week you need a bigger car crash, a bloodier murder, a double jilting at the alter… All you really need to do is build up a few interesting, believable characters and you could just have them sit in a room talking and viewers would love them. Anyway, here in England it’s Guy Fawkes Night which is when we all celebrate the life of a man who tried to blow up Parliament. We set off fireworks in the garden and lit a fire in the fire pit. More importantly we had hot dogs. Quorn of course. I didn’t do much in the way of writing as I was in Liverpool most of the day. I went to Tate Liverpool to see Tracey Emin’s famous (infamous?) My Bed (1998). I know there’s been a lot of “how can that be art?! !” about this over the years but I loved it. Art isn’t always something you want to put on display in your front room (you definitely wouldn’t want this one on display in your front room although I bet one or two of us have got something similar in their bedrooms!). 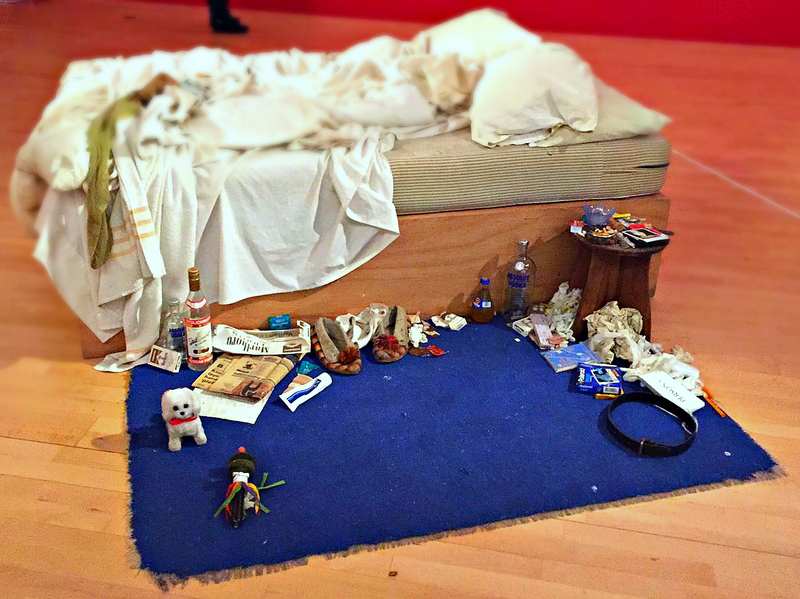 Part of the attraction is because it’s so famous, I suppose (as is Emin herself nowadays) but also it feels like it’s a really honest piece; something which gives you a sneaky, peek into someone’s private life. What’s not to like? 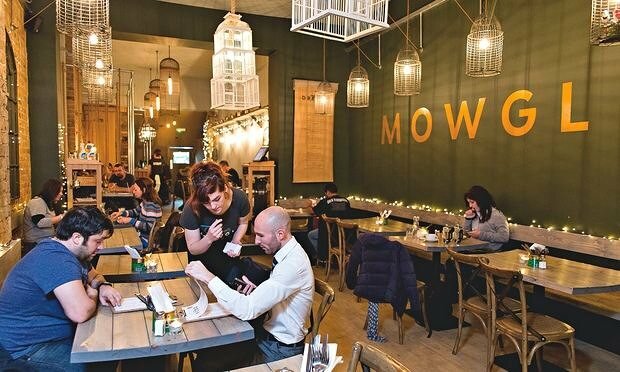 Anyway we had an amazing lunch after at Mowgli Indian Street Food in Bold Street. The yoghurt chat bombs were beyond tasty. It lashed down with rain on the way back to the car after and we got soaked.